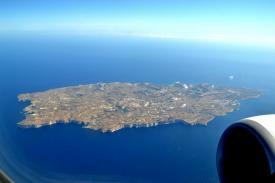 Gozo & Comino, Malta's smaller sister islands offer a completely different style of holiday to other Mediterranean Islands. The Gozitan countryside, interspersed with charming villages still shows its traditional pastoral character. 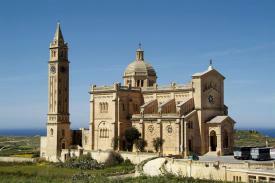 Gozo has a more relaxed atmosphere shown through its Gozitan and baroque architecture seen in its towns and villages. Upon arrival of your flight to Malta your Gozo holiday begins with a transfer to the ferry port at Cirkewwa and then a ferry trip past the Island of Comino to the main harbour of Mgarr, on Gozo. You will then be transferred to your hotel to begin your holiday in the perfect year round holiday destination. The warm waters, coastline and bays surrounding the island make Gozo and Comino Holidays ideal for people looking for snorkelling and diving. Anybody looking for history and culture just has to step outside their hotel to see some of what Gozo has to offer including the Ggantija Temples thought to be the oldest free standing structures in the world. 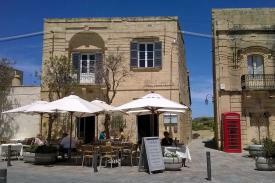 Or if you are looking for a relaxing holiday away, the multitude of 'al fresco' style restaurants and Gozo's red sand beaches will be right up your street - in short a Gozo Holiday has it all. 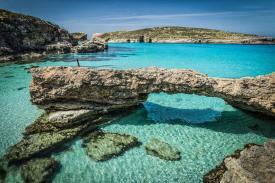 Comino is just perfect for those looking for a serene escape surrounded by unspoilt countryside, stunning coastal scenery and nature. Whether you choose from the lively resort of Marsalforn or the quieter villages of Xlendi, Sannat or peaceful little Comino, you will find a Mercury Holidays package holiday tailored for all your needs. With our great deals including No Single Supplements and Free Nights as well as hundreds of Kids Stay Free places, our holidays are now more affordable than ever. Please be informed that from 01/06/16 the Government of Malta is introducing an Environmental Contribution tax. This applies to any person 18 years or older on the day of arrival, and staying at any type of accommodation. The charge is ?0.50 per person per night up to a maximum charge of ?5 per person. This charge applies to each continuous stay in the Maltese Islands and is charged by each hotel stayed in. The charge will be levied by your hotel locally for this (this may be during check in or check out). The hotel is required to declare this tax to the Maltese government, so clients may be asked to provide personal information such as date of birth and to support this with a document, such as a passport or drivers licence. 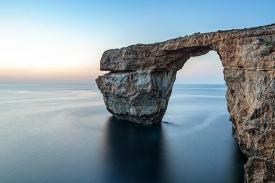 All data will be collected and processed in accordance with the data protection laws of Malta.